Last month, the Intergovernmental Panel on Climate Change (IPCC) released a Special Report (SR15) on the impacts of 1.5°C global warming above pre-industrial levels, in an effort to strengthen the global response to climate change. Given that SR15 is the scientific manual for the world’s policy makers, it is important that the science in the report is communicated widely to the public. On the occasion of SR15 publication, The Big Q invited me to write an article about climate change, and I agreed enthusiastically. Below, I compile a list of five questions I am often asked in conversations with colleagues, students, friends and family about SR15 in particular, and about climate change in general. I do not include fundamental questions such as “How does the greenhouse effect work?” or “What are greenhouse gases?”; these are covered extensively elsewhere (see e.g. 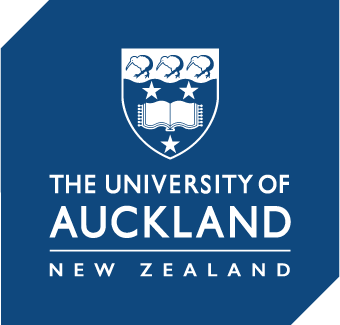 our courses on Climate Physics offered at the University of Auckland). Rather, I focus on questions regarding quantification of anthropogenic climate change, the sources, costs, and global and local solutions. I provide specific and quantitative answers to these questions, so there are a lot of numbers below. By researching these numbers in the scientific literature and presenting them here, I would hope that we (including myself) would be able to make more informed conclusions, urging us to take individual or political actions to combat the serious issue of climate change that we are facing today. How is today’s climate change different from the past? Earth’s climate has always been changing. Information about past climate and variability before instrumental records existed is inferred from tree rings, ice cores, ocean sediments, coral reefs, and sedimentary rocks. For instance, bubbles of air trapped in ice cores are samples of Earth’s atmosphere in the past, telling a history of atmospheric greenhouse gases (GHGs) going back more than 800,000 years (NASA Earth Observatory). A comparison of this ancient evidence and today’s direct measurements obtained at Mauna Loa Observatory in Hawaii reveals that the current atmospheric carbon dioxide (CO2) concentration is higher than at any time in at least the last 800,000 years (see Fig. 1). 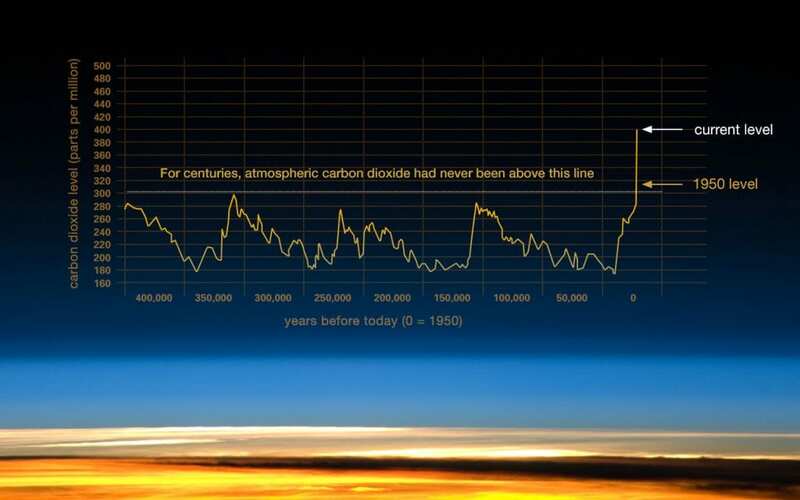 Driven by human activities (fossil fuel burning and deforestation), atmospheric CO2 concentration has increased by more than 40 % since the Industrial Revolution. Figure 1: Atmospheric CO2 concentration from ice-core data before 1958, and from direct measurements at Mauna Loa Observatory after 1958. Source: NASA. Figure 2: Variability of global average temperature in the last 800,000 years (top) inferred from air bubbles in ice cores, and in the last 1500 years (bottom) from paleoclimate data (green line) and modern instruments (blue line). Source: NASA Earth Observatory, based on data from Jouzel et al., 2007 and Mann et al., 2008. Over the past few million years, it took the Earth about 5000 years to warm 5°C during various ice age recovery periods (see Fig. 2). In the last century alone, the global average temperature has risen by about 1°C (see Fig. 2 and more up-to-date data from NASA’s Goddard Institute for Space Studies), which is about ten times faster than the average ice-age-recovery warming rate. 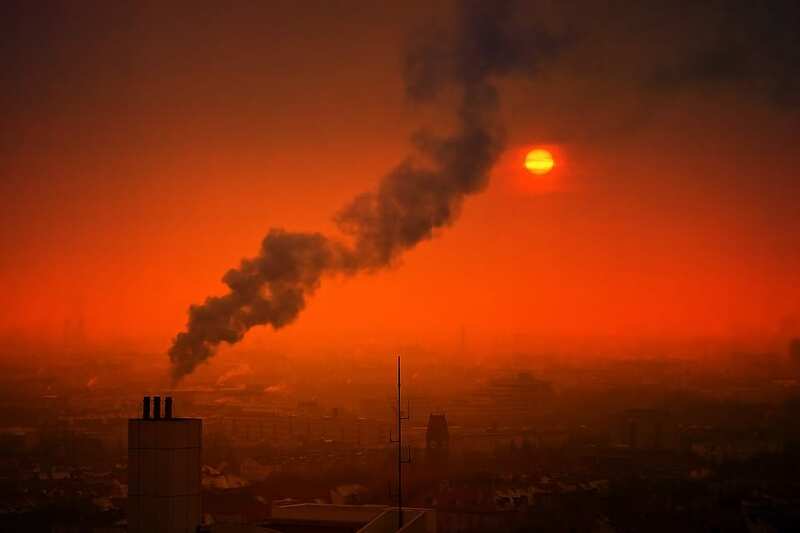 According to SR15, global warming is likely to reach 1.5°C above pre-industrial levels between 2030 and 2052 if it continues to increase at the current rate. Over the next century, the rate of global warming is predicted to at least double that of the last century, i.e. at least 20 times the historical average ice-age-recovery rate. Going back further in time, there were eras in Earth’s history when the planet experienced large and rapid GHG emissions and abrupt rises in global temperature—similar to today. Those ancient times also saw rising sea levels and ocean acidification, just like the symptoms of global warming caused by anthropogenic GHG emissions today. Those abrupt global warming events were highly destructive for life, likely causing mass extinctions such as at the end of the Permian period (over 250 million years ago, see Wikipedia and Skeptical Science). How much worse is 2.0°C than 1.5°C? The SR15 compares the costs of global warming at 1.5°C and 2.0°C above pre-industrial (1850–1900) levels, in an effort to strengthen global actions to rapidly reduce GHG emissions and avoid the worst impacts of anthropogenic climate change. However, the impacts depend not only on GHG emissions, but also on the rate of warming, the resilience, responses, interactions, and feedbacks of the components in the physical, natural, and human systems, the geographic locations, the levels of development and vulnerability, and the methods of adaptation and mitigation. The SR15 and the more than 6000 scientific references therein provide in-depth discussions about the ranges of uncertainty. Below I quote several important numbers from SR15 without addressing their uncertainties; this is to allow us to gauge the differences between a 1.5°C and a 2.0°C warming worlds without repeating the technical details which are provided in SR15. The effects of global warming on biodiversity worsen considerably from 1.5°C to 2.0°C. A majority (70–90 %) of the world’s coral reefs would disappear with global warming of 1.5°C, and virtually all (more than 99 %) would be lost with 2.0°C. Of the 105,500 species studied, 6 % of insects, 8 % of plants and 4 % of vertebrates are projected to lose over half of their climatologically suitable geographic habitat for global warming of 1.5°C, compared with 18 % of insects, 16 % of plants and 8 % of vertebrates for global warming of 2.0°C. Risks to biodiversity due to forest fires, extreme weather events, and the spread of invasive species, pests, and diseases also increase under 2.0°C warming. Adverse impacts on human livelihoods increase considerably from 1.5°C to 2.0°C global warming scenarios (see Section 3.5 in SR15, and Vox article). According to the SR15, by 2100, global sea level rise would be 10 cm higher with global warming of 2.0°C compared to 1.5°C. Accordingly, an additional 128–143 million people at 1.5°C and 141–151 million people at 2.0°C would be exposed to sea level rise and storm surge in coastal regions. Meanwhile, an additional 4 % and 8 % of the world’s population, respectively, would be susceptible to new or aggravated water scarcity (while approximately 1.3 billion people already live in water-scarce regions, Gerten et al., 2013). Globally, severe droughts would likely affect an additional 133 million people at 1.5°C and 195 million people at 2.0°C (Liu et al., 2018). About 14 % of the world’s population would be affected by severe heat waves at 1.5°C. This number would more than double to 37 % at 2.0°C (Dosio et al., 2018). Constraining warming to 1.5°C rather than 2.0°C would avoid significant crop yield declines in West Africa, South East Asia, and Central and South America. In these tropical regions, wheat production is projected to decline by 9 % at 1.5°C and 16 % at 2.0°C; maize production would decline by 3 % at 1.5°C and 6 % at 2.0°C (Schleussner et al., 2016). Therefore, economic costs would be higher if warming reaches 2.0°C than if it is constrained to 1.5°C (see Section 3.5.2.4 in SR15). If we are able to limit warming to 1.5°C instead of 2.0°C, we would save 1.5–2.0 % of global Gross Domestic Product (GDP) per capita by mid- century and 3.4 % of global GDP by end-of-century, which correspond to US$8.1–11.6 trillion and 36.4 trillion by mid- and end-of-century, respectively. Under the nationally determined commitments to the Paris Agreement, global warming would reach 2.5–3.0°C by the end of the century (Rogelj et al., 2016). This level of warming could lead to a global GDP loss as high as 15–25 % relative to a world that did not warm above the 2000–2010 levels (Burke et al., 2018). 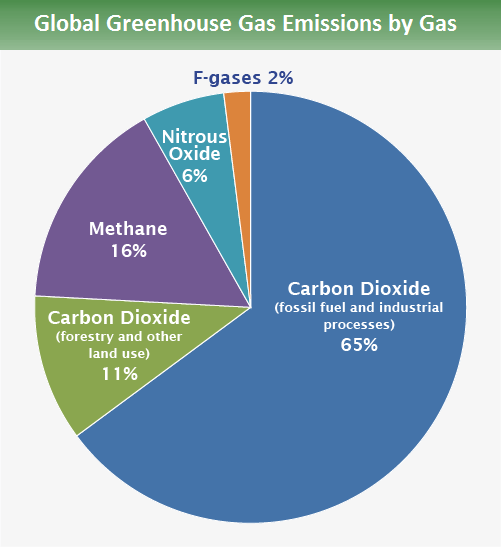 What are the sources of anthropogenic GHG emissions? This is an important question; only when we correctly identify the sources of the problem could would we be able to develop effective strategies to solve it. – 2 % is fluorinated gases (F-gases) emitted from industrial processes, refrigerators and consumer products. Figure 3: Global GHG emissions by gas (top) and by economic sector (bottom) in 2010. Source: IPCC Fifth Assessment Report (AR5) and US Environmental Protection Agency. – 6 % from onsite energy generation and burning fuels for heat in commercial and residential buildings or home cooking. Electricity use in buildings is excluded and is instead covered in the electricity and heat production sector above. According to SR15, anthropogenic emissions up to the present are unlikely to cause further warming of more than 0.5°C over the next two to three decades. In other words, how much the climate warms in the future is up to us. However, limiting global warming to 1.5°C would require major, rapid and sustained global action. Specifically, global GHG emissions would need to immediately drop, hit zero by 2050, and become negative thereafter (anticipating the advancement of carbon sequestration technology). This is a challenging task. But, given the hefty costs of climate change, we cannot afford not to take action. It is clear that the burning of fossil fuels for energy use in industry, transportation and infrastructure is by far our major emission source currently. We thus need to urgently target this cause, setting a high goal to completely eradicate our dependence on fossil fuels. With the advancement of solar, wind, hydro and geothermal energy technology, transitioning to renewable energy makes complete sense, not only environmentally but also economically. Studies (see Inside Climate News and Climate Policy Initiative) have shown that decarbonizing the electricity system would bring the global economy an estimated US$1.8 trillion in financial savings in the next two decades. Iceland and Norway already generate all their electricity using renewable energy, demonstrating that this is possible. Roadblocks to widespread implementation of renewable energy are primarily political (climate change denial, fossil fuels lobby, political inaction) and not technological (see Wikipedia and Wiseman et al., 2013). Other actions to curb GHG emissions include stopping deforestation, replanting trees, reducing emissions from agriculture (choosing low-emission livestock, high-yield crops and regionally appropriate forages, rotational grazing, reducing fertiliser wastage, and other practices as discussed specifically for New Zealand below). In addition, reducing meat consumption is an effective way for individuals to reduce their impacts on GHG emissions (see The Guardian). It is estimated that about 50 kg, 20 kg, 8 kg, 6 kg, 4 kg, 2 kg and 1 kg of equivalent CO2e) is emitted in the production of 100 g protein of beef, lamb, pork, poultry, eggs, tofu and peas, respectively (Poore and Nemecek, 2018). Finally, it is necessary to draw attention to contributions of large corporations to global GHG pollution. According to the Carbon Disclosure Project, only 100 corporate and state-owned entities are responsible for producing 71 % of the world’s GHG emissions since 1988 (see also The Guardian). ExxonMobil, Shell, BP and Chevron are among the highest emitting private firms. Governments need to hold these corporations liable via rigorous carbon tax schemes and/or regulatory requirements of carbon sequestration on every dollar profit made by such corporations. How is New Zealand doing? New Zealand is known for its green sceneries and pristine wilderness. However, the country’s economy is based largely on exploiting natural resources, with high levels of GHG emission and water pollution. In 2013, New Zealand emitted 17 tonnes of CO2e per capita, which is twice that of China (according to World Resources Institute). New Zealand’s gross GHG emission per capita is the seventh highest among the 41 industrialised countries which are parties of the United Nations Framework Convention on Climate Change (Radio NZ). 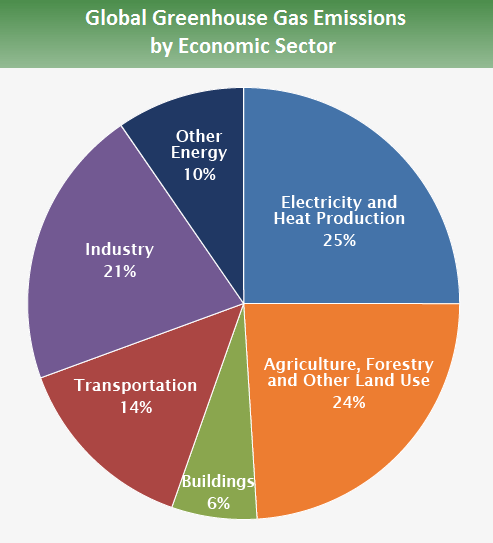 The agriculture and energy (including transport) sectors are responsible for most of New Zealand’s emissions. In 2016, these two sectors respectively produced 50 % and 40 % of the country’s gross emissions (see New Zealand’s Greenhouse Gas Inventory). New Zealand’s agriculture, mainly dairy farming, emits methane and nitrous oxide; both are powerful GHGs. In terms of radiative forcing, one tonne of methane is equivalent to 28 tonnes of carbon dioxide, and one tonne of nitrous oxide is equivalent to 265 tonnes of carbon dioxide (AR5). Methane is emitted when sheep and cattle burp. Nitrous oxide is emitted when animal urine interacts with microbes in soil. In addition, nitrogen fertilisers are used to increase plant production in both dairy and crop farming. These two agricultural GHGs make up for about half of New Zealand’s gross GHG emission (see Climate change and agriculture: Understanding the biological greenhouse gases). As part of the Paris Agreement, New Zealand committed to reduce greenhouse gas emissions to 30 % below 2005 levels by 2030 (see Climate Watch). Meanwhile, methane from dairy cattle, together with carbon dioxide from road transport and other industry, have pushed up New Zealand’s gross GHG emission by about 20 % since 1990. There is no single silver bullet solution that New Zealand could take to reduce emissions in order to meet its commitment to the Paris Agreement. However, it is clear that the main source of New Zealand’s emissions, which is agriculture, cannot be ignored. Addressing GHG pollution due to dairy farming would allow New Zealand to tackle water pollution as well, since dairy farming is a major cause of water pollution in the country. Several methods to reduce methane and nitrous oxide emissions from dairy farms have been proposed; some of these have been implemented in small scales and showed promising initial results. These include: efficient farm management, “low methane” animal breeds, vaccines for sheep and cattle that reduce the methane emitted by triggering the animal immune systems, chemical compound feeds that suppress the production of methane in the guts, and chemical processing of urine patches and fertiliser (see Climate change and agriculture: Understanding the biological greenhouse gases). These, together with replanting forests, energy efficient transport and infrastructure and expansion of public transport systems, are all viable methods that need to be further invested and pursued aggressively to ensure an ethical, sustainable and thriving economy for New Zealand now and into the future. Equivalent CO2 (CO2e) is the concentration of CO2 that would cause the same level of radiative forcing as a given type and concentration of greenhouse gas. Tra Dinh is a Lecturer in Physics at the University of Auckland.